I will admit there are forms of social media I use because I “have” to. I don’t LOVE Facebook and think truthfully it’s pretty useless. If I didn’t have to use Instagram I probably wouldn’t. I even have a private one just for family/friends and I am terrible about updating. While I do enjoy Twitter it’s pretty easy. But I LOVE Pinterest! I could spend hours on Pinterest browsing and pinning and organizing pins. I love scheduling, and nerding out over Pinterest strategies. I think Pinterest is 100% imperative for organic blog growth. 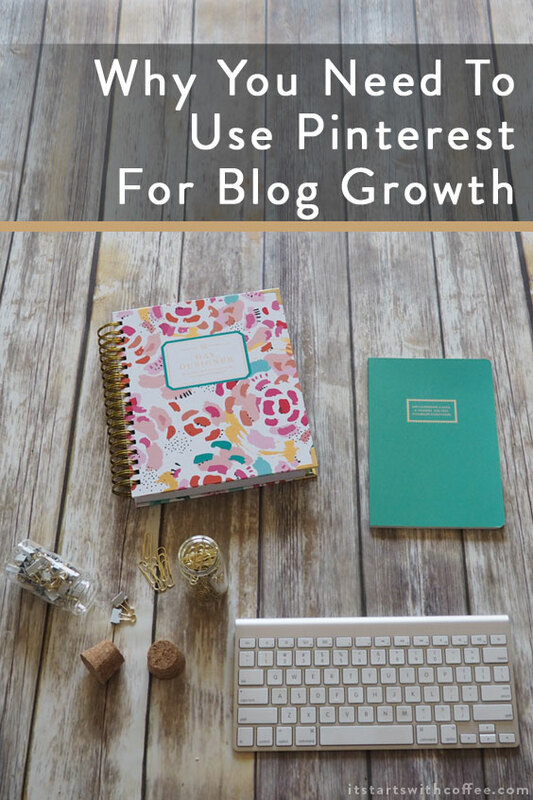 I want to share why you need to use Pinterest for blog growth. I won’t say I am an expert but in the past two years I have grown my Pinterest over 20k followers. 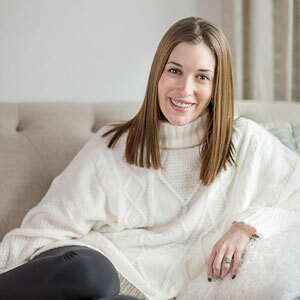 Reason 1: Pinterest is a search tool: I know for me personally I have gone on Pinterest and searched things like “one year old birthday party” or “spring baby shower ideas.” Well guess what I bet you have to! Some of my posts with the highest traffic volume are due to that in a large part to Pinterest and having an easily searched on Pinterest term. “____ travel guide” “What to put in a hospital bag” “baby shower gift ideas” things like that are Pinterest gold! When you are writing blog posts write your title in terms of how you would search on Pinterest. Reason 2: You control very little else on the internet: I know just like Twitter, Facebook, or Instagram, Pinterest could disappear at anytime but there isn’t as much pay to play as there is on the other platforms. I am a firm believer that your blog should always be your number one. You control the website and no one can take it from you. You can control a lot on Pinterest too! Reason 3: It can explode your traffic: As mentioned above a TON of my blog traffic comes from Pinterest. Almost 50% of it! Also like mentioned above, Pinterest is a search tool just like Google is. If you have a great pin-able image and a searchable blog title you can do amazing things with Pinterest. I would also consider having a Tailwind account. It has helped me so much. I use the looping feature, the tribe feature, as well as the scheduler which is a game changer. I usually spend a few hours 2-3 times a week scheduling pins and then I have pins that auto loop. If you want me to do an in depth post on Tailwind let me know! Reason 4: Why not: Why not spend the time on Pinterest. Why not see if it makes a difference. I can assure you you won’t lose anything. It’s not going to hurt your blog. So why not? Are you a Pinterest user? Come follow me! I really should start dedicating more time on my Pinterest. I’ve heard tons and tons of times that it’s one of the biggest growth factor for blogs. Am not really good on printrest but I just learn you can sell also there. Pinterest is a really a great platform. I love Pinterest! It has been my highest source of traffic to my blog. I know there’s more I could be doing, too, but it’s been great so far! I have let myself get away from pinterest and I really need to get refocused and back in the game. I couldn’t agree more about facebook, it tends to be a waste of my time other than interacting with friends I talk to daily and even they are the only ones who interact with my biz page. Thank you for these insights. I have been neglecting Pinterest for years but would love to start using it now. Will try to read more about it as I do not have much knowledge on it. Can’t wait to get started. I am not great with social media, but I love pintrest! I would say a lot of my blog traffic comes from pintrest as well! I haven’t used pinterest much for my blog. I agree that Facebook is useless when it comes to blogging. And Twitter is getting worse. I have always been struggling with getting tangible business results from Pinterest. So, I stopped using it. However, this post and the reasons provided in it made me think about it again. Pinterest is such a useful tool for business. It definitely helps drive traffic and bring in an audience. I see how Pinterest can be a good traffic chanel for some blogs, but in my case, my photos are not very appealing, so Pinterest doesn’t work as well for me. Yes, Pinterest is critical for any blogger. It’s so helpful to have what is essentially a search engine that is visually-oriented!